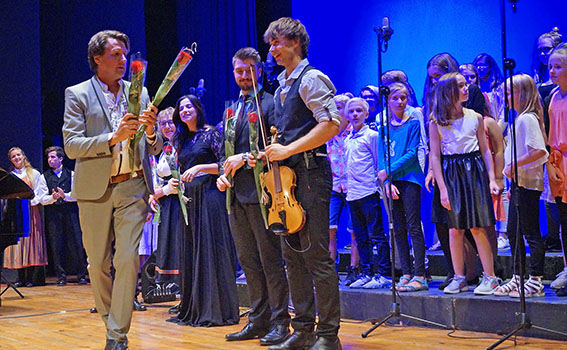 There was great joy, when children from the Norwegian School at Costa Blanca, came on stage to chorus for Alexander Rybak. 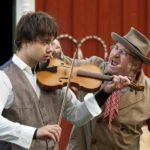 It was packed at all performances in this year’s edition of Spanish-Norwegian Days. 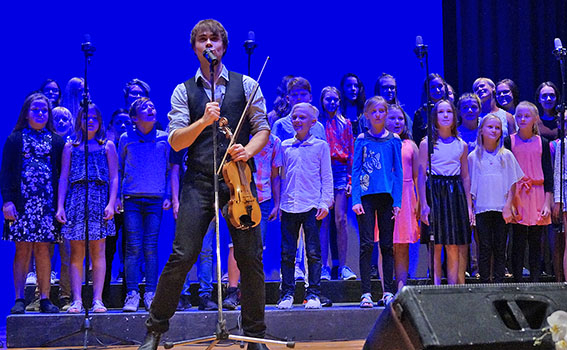 The highlight was the concert of Alexander Rybak Saturday night. Already half an hour before the concert, the hall of Casa de Cultura starts packing. The organizers run back and forth to accommodate all who are still outside. Extra chairs are carried in, but still some have to stand. 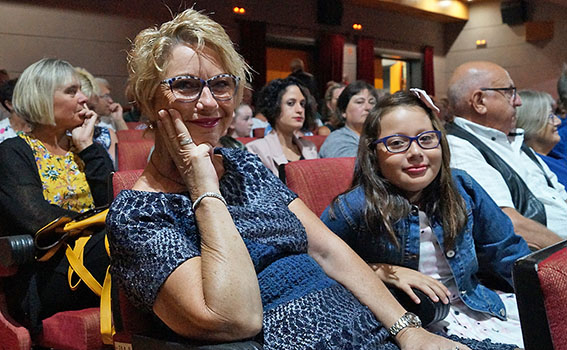 “We arrived very early so we had good seats, but the hall was already half full and it was completely impossible to get in front of the stage,” says Kari Nygaard Portell, who has come with her Spanish bonus grandchild. Gitte Ørland Eikeskog and her daughter, Kaja, on the other hand, have been placed on the first row right in front of the stage. Both look forward to listening to the children from the Norwegian school Costa Blanca who will chorus for Rybak. “The brother of Kaja participates,” said Gitte with a big smile. All the children in the choir were very excited today early. They have practiced a lot. You should have seen them when they came here a little while ago. They were all high on life, their eyes just shining. The appeal is great when Rybak finally comes to the scene and welcomes the audience in three different languages. He jokes and laughs, to great pleasure for the guests. 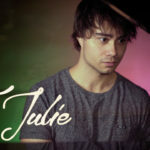 After a couple of songs, he reminds the audience that his great love Julia is sitting in the hall and dedicates a song to her. Eventually, the songbird Victoria Bakka comes on stage. It’s hard to believe that the girl is only 14 years old, for the voice of voice should be looked after. The Spanish singer Pepi Lloret does not disappoint and fills the room with her beautiful voice. Finally, the choir comes on stage. The children radiate enthusiasm and show that they can sing. 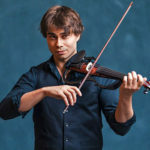 When Rybak plays the first tones of the fairytale fairytale, the jubilee will not end up in the hall. “I’ve lost a string on the violin, so now I can call myself an adult,” Rybak glides before finishing the concert. Co-organizer of Spanish-Norwegian Days, Siegmund Watty, is in a good mood despite the fact that it has been a busy week with a lot of work. “We are brilliantly pleased with the 15th anniversary! 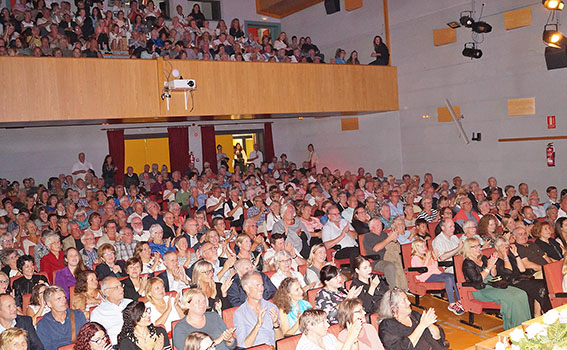 All the performances went to full house and we have had a very international audience. We would like to thank all who have been and made this possible. A special thanks to the municipality, sponsors and volunteers. And not least, thank you to the media for the awesome coverage.